A girly happy new year greeting to share with your friend at free of cost. Friendship is one of the few relationship which defines who we are. It is the comfort zone, happiness, support and guidance. A good friend is the precious of all the gifts. 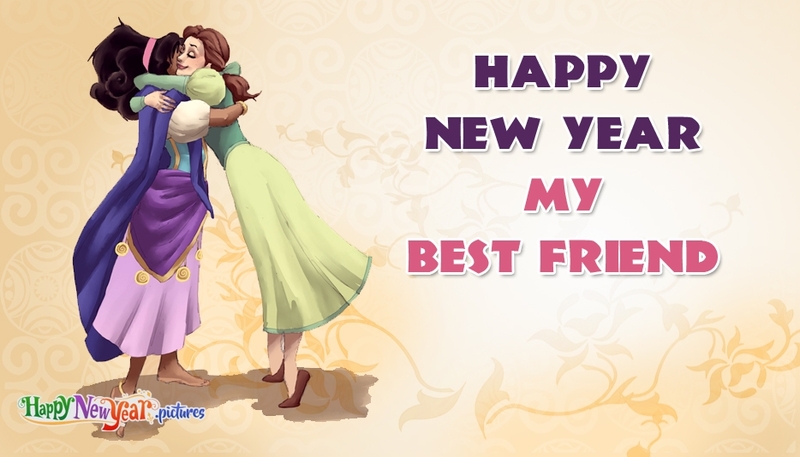 Celebrate the upcoming new year along with your friend by sharing this "Happy New Year My Best Friend" greeting image.